Enjoy slow-cooked food, taste some wine and enjoy moderate hikes through undulating hills on trails connecting villages and farms. Vojvodina is a duchy in Serbia where people take pride in living in the slow lane. A perfect break from the stresses and fast pace of life. This year we are organising our first trip to Vojvodina (pronounced Voyvodina), the northern part of Serbia on the border with Hungary. This is a multicultural region with six official languages, well known for the hospitality of its inhabitants and its slow pace of life. You will need to be moderately fit and able to appreciate the joys of wine tasting, thermal spas and slow-cooked food to enjoy this trip! The name Vojvodina means a duchy in Serbian, and it originally derives from the old Slavic word for leadership and war. 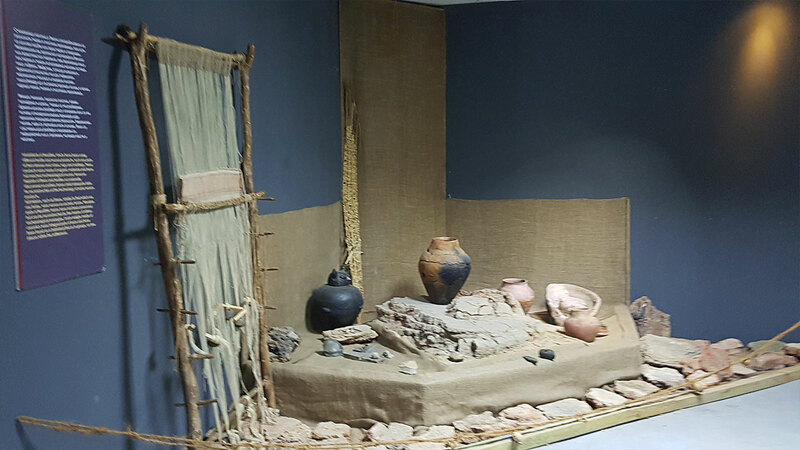 In the Neolithic period, two cultures flourished in this area: the Starchevo culture and the Vincha culture. Indo-European inhabitants first settled in the territory of present-day Vojvodina in 3200 BC. Before the Roman conquest in the 1st century BC, Indo-European peoples of Illyrian, Thracian and Celtic origin inhabited this area. Among the first states that emerged here was the Celtic State of the Scordisci. The Romans also enjoyed living in the area, and four Roman emperors were born here. After the Romans were driven away, various Indo-European and Turkic peoples and states ruled the area until the arrival of the Slavic tribes. The middle ages were dominated by Slavic kingdoms, until Vojvodina became a part of the Kingdom of Hungary between the 10th and 12th centuries. It remained under Hungarian administration until the 16th century and the arrival of the Ottoman Empire. The Ottomans ruled until the beginning of the 18th century, when the Habsburg monarchy took over the region. It was then taken over by the Austro-Hungarian empire, only to become part of the Kingdom of Serbs, Croats and Slovenes in 1918, a country which collapsed at the start of the Second World War. In Yugoslav times Vojvodina had the status of autonomous province within Serbia, which it retains today. 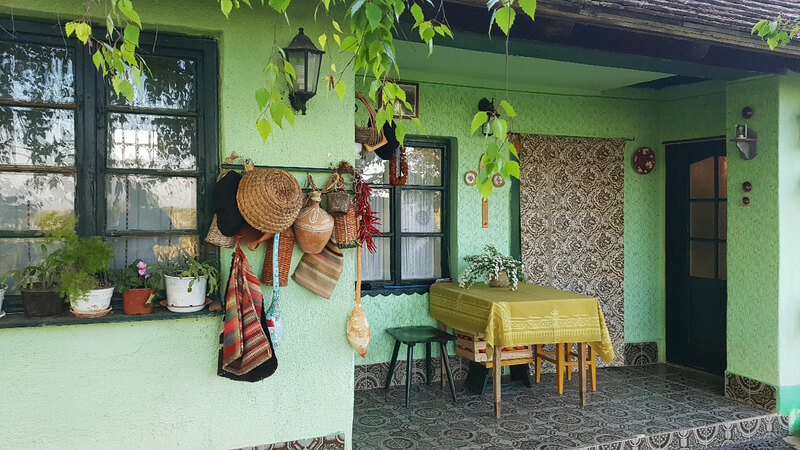 This mixture of influences is wonderfully represented in the architecture and the cuisine of the local people, who draw from the variety of influences to create charming houses and delicious dishes. Day 1: After a late arrival in Belgrade, we head to Novi Sad, which is our base for the next 5 days. As we are arriving quite late we will have a later breakfast the next morning, so you can still catch up on your beauty sleep. Day 2: After breakfast we will start our hike from Paragovo, which is only a 15-minute transfer from Novi Sad. 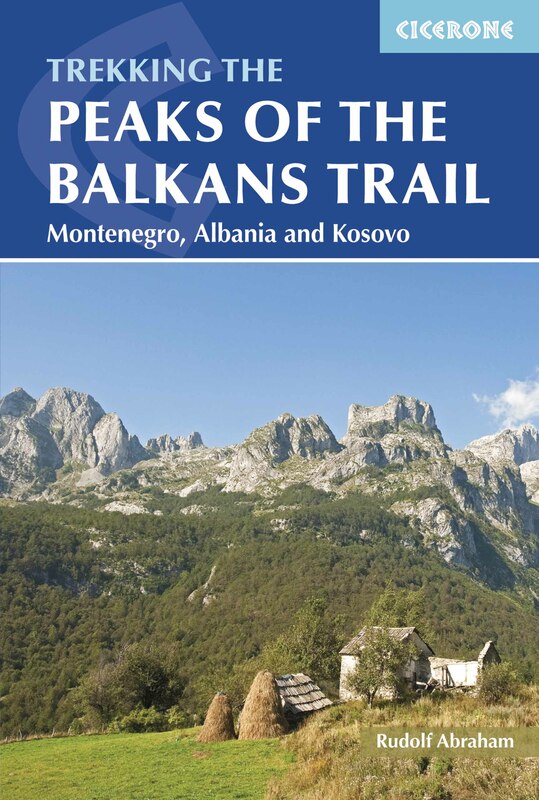 We will be walking a total of 10 km (6mi) at a leisurely pace, with 400m (1312ft) of ascent and 350m (1148ft) of descent via undulating hills as we make our way to the village of Strazilovo. From there we will be going to Sremski Karlovac, a small but picturesque town, where we will stop for a late lunch and some wine tasting at the Bajilo winery. We will have a guide to take us around the town and its famous gymnasium, the matches museum and the Kougloff museum, where exclusive cakes used to be made for the royal courts. In the evening, our minibus will take us back to Novi Sad, where we can either go for dinner or sample the night life. 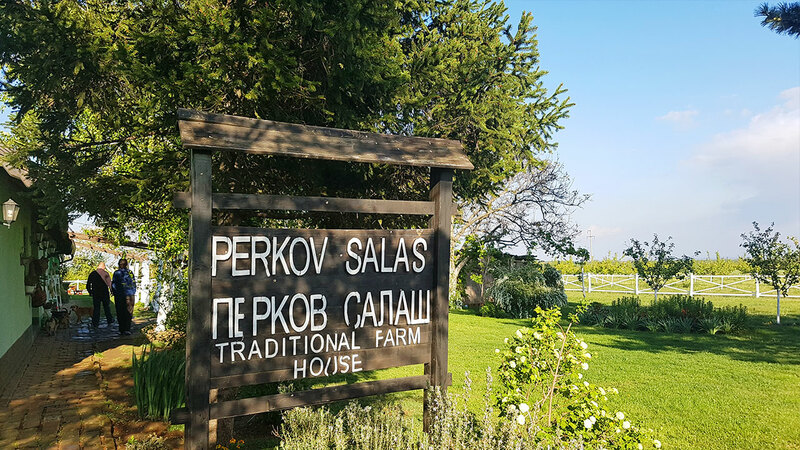 Day 3: We start today’s walk from the same point as the day before, but this time going in the direction of Perko’s salash, or typical Vojvodina farm. This comes from the Hungarian word szallas, which describes a large plot of land with farmhouses. 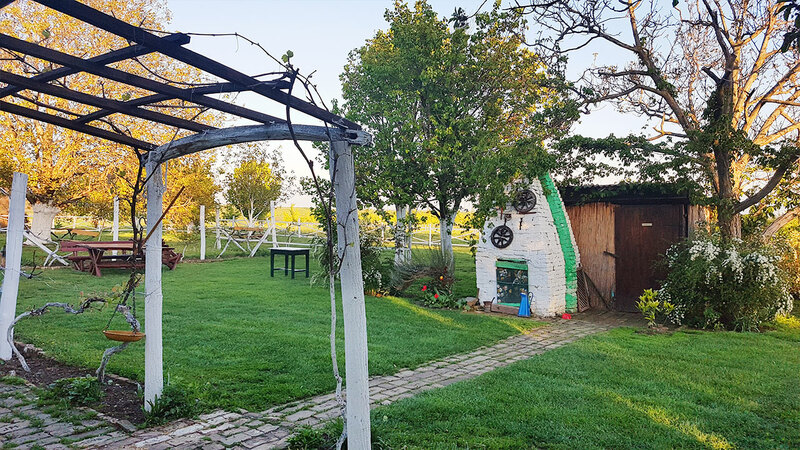 Many of them have now been turned into guest houses and wineries, and these spectacular and authentic 19th century buildings ooze with serenity and domesticity. We will walk a total of 11km (7mi), with an ascent and descent of 400m (1312ft) between the village and the salash, where we will have a late lunch. We will have an effective walk of 4 hours, although we will have a stop to visit Grgeteg monastery. In the evening we will be transferred back to Novi Sad. Day 4: This is our spa day, although we will start the day with a walk totalling 12km (7,5mi), with 450m (1476ft) of ascent and 450m (1476ft) of descent. We will have lunch in the spa town of Vrdnik, followed by a leisurely afternoon enjoying the natural thermal waters. In the evening we will be transferred back to Novi Sad, where we will spend the night. 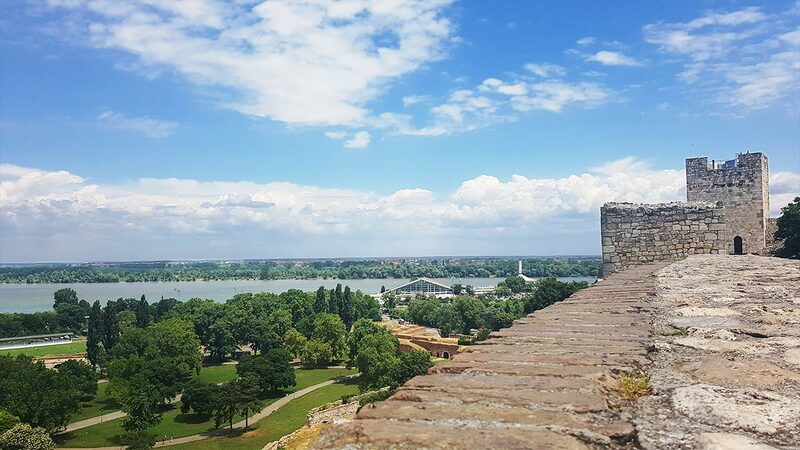 Day 5: In the morning we will check out of the hotel after breakfast, have a tour of the town of Novi Sad and visit the castle of Petrovaradin. We will have lunch on the way to Belgrade. We will also stop on the River Danube for some optional kayaking in the afternoon. We arrive in Belgrade in the evening, and we will head to the bohemian part of city, called Skadarlija, for dinner. Day 6: On the last day we will have a tour of Belgrade, with the possibility of visiting the museum of Nikola Tesla, the famous Serbian inventor who moved to the US in 1884 and is credited with inventing the alternating current induction motor, x-rays, wireless communication and other devices that marked the turn of the 20th century. The cost of this trip is £580, based on two people sharing a room. A single room supplement is available at £150 extra. • 7 overnights on a bed and breakfast basis in 3 star hotels and mountain huts. • All transfers from and to the starting and finishing points of the hikes or cultural visits according to the itinerary. • Local English-speaking certified mountain guide for all hikes. • Packed lunches during hikes (where there is no alternative for food stops). • Lunches and dinners in restaurants. • Personal expenses, optional activities, souvenirs.